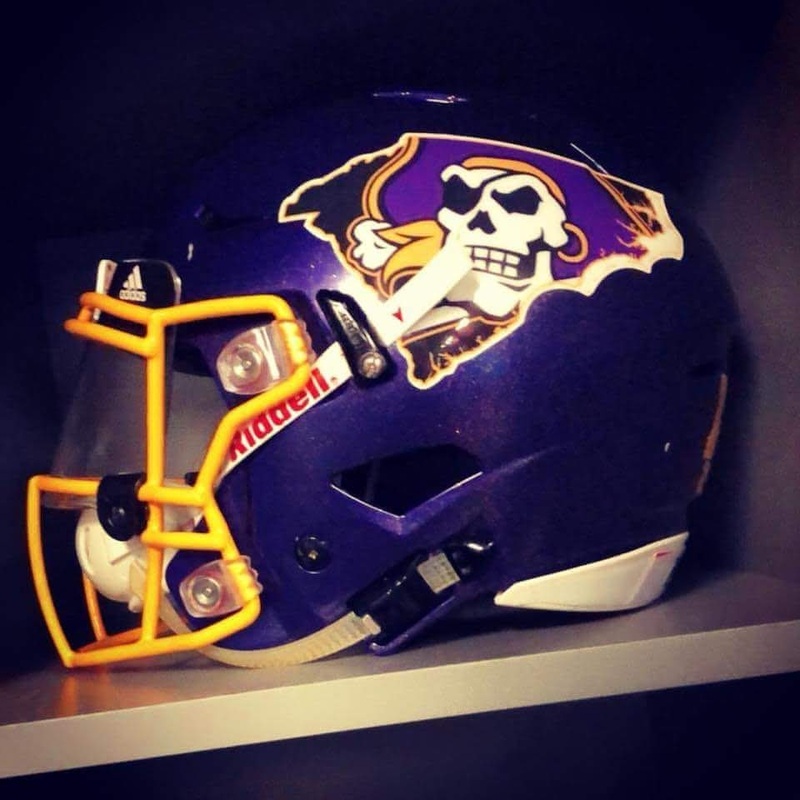 As the Carolinas continue to recover from the impact of Hurricane Florence the earned last week's commemoration, ECU has put the states on their back - and on their helmet. Spending the past week in Orlando as the campus recovered (classes resumed this past Wednesday) the Pirates expounded upon one of college sports' great logos and included the state to their south to represent One Carolina. Well done, ECU.